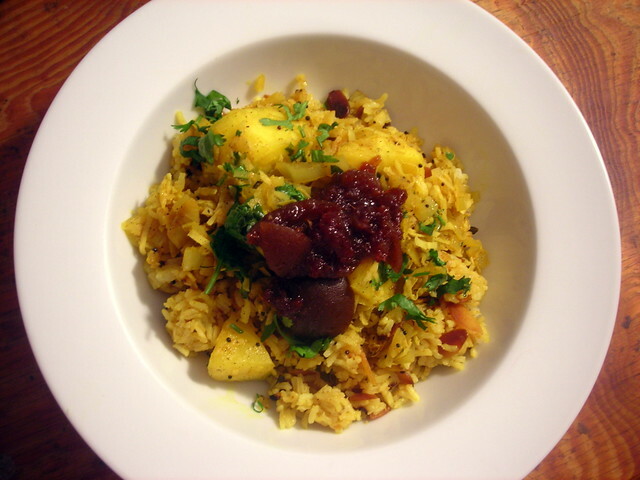 You can view the recipe for the curry here and the lemon rice here. The pickle is store-bought, from Kalustyan’s. 05 Jun	This entry was published on June 5, 2013 at 8:38 am. It’s filed under food, food photography, Gluten-Free, Indian food, spring, vegan and tagged food photography, gluten-free, Indian food, New York Times, spring, vegan. Bookmark the permalink. Follow any comments here with the RSS feed for this post. I still stop by regularly to peek at the menu! I think Indian food is my favorite; so delicious, and diverse! I need to cook it more often.